​Dr Bin Luo is currently an ARC Discovery Early Career Researcher in Australian Institute for Bioengineering and Nanotechnology (AIBN) at the University of Queensland (UQ). He received his doctoral degree in Physical Chemistry from National Center for Nanoscience and Technology (NCNST), University of Chinese Academy of Sciences (UCAS) in July 2013. 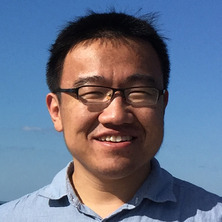 In August 2014, Dr Luo joined UQ as a full-time Postdoctoral Research Fellow in AIBN. He then secured highly competitive UQ Postdoctoral Research Fellowship (2015-2018) and ARC Discovery Early Career Researcher Award Fellowship (commencing in 2018). ​Dr Bin Luo' s research focuses on the design of new functional nanomaterials/nanostructures for energy storage application. Specially, the goal of his current research is to develop two-dimensional hybrid nanostructures for high performance energy storage devices, including lithium-ion batteries, sodium-ion batteries, Lithium-sulfur batteries, and Aluminium-ion batteries. Dr Luo's research interest also includes the design of next generation energy conversion or storage devices (e.g. flexible/transparent/microsized batteries, supercapacitors, or solar cells) and new conceptual energy storage system (e.g. solar rechargeable battery). Development of new functional nanomaterials/nanostructures for energy related applications including rechargeable batteries, supercapacitors, and photocatalysis. Dr Luo has been working on the energy related nanomaterials over 9 years and contributed more than 60 original publications on top ranking journals such as Adv. Mater., Energy Environ. Sci., Nano Energy, Adv. Sci., Small, etc. As of June 2018, nine papers (including 6 first-authored) have been recognised as highly cited papers by Essential Science Indicators (ESI, top 1% of the academic field of Materials Science based on a highly cited threshold for the field and publication year). His work has received over 3,900 citations as of Jan 2019 with h-index of 29 (google scholar). Dr Luo's research has generated significant novel IP: he is an inventor on 13 patents on functional nanomaterials and their applications for energy conversion or storage including lithium-ion batteries, supercapacitors, and catalysis. This project aims to develop a new prototype of solar rechargeable battery for the direct capture and storage of abundant but intermittent solar energy. This Project will integrate newly designed solar-driven photoelectrochemical energy conversion process and bifunctional photoelectrode into lithium-sulfur battery to achieve high energy storage efficiency. Expected outcomes include high-performance solar rechargeable batteries and new knowledge resulting from the disciplinary collaborations between energy storage, photoelectrochemistry and nanotechnology. These will provide advances in material science and solar energy storage technologies, thus addressing the global energy shortage and environmental pollution issues. This project aims to develop new types of hierarchical electrodes for high-rate lithium ion batteries with long cycling life. The key concepts are the development of multi-shelled hollow structured silicon-based anode and Li-rich layered oxides cathode to achieve both high power and energy density, and the adoption of graphene to further improve rate capability and cycling stability. Effective energy storage systems play an important role in the development of renewable energies and electric vehicles. The project outcomes will lead to innovative technologies in low carbon emission transportation and efficient energy storage systems. Luo, Bin, Wang, Bin and Zhi, Linjie (2013). Rational design of graphene-based nanomaterials and their application in energy storage devices. In: Abstracts of Papers of the American Chemical Society. 246th National Meeting of the American-Chemical-Society (ACS), Indianapolis in, (). Sep 08-12, 2013.